Preaching, according to Bonhoeffer, is like offering an apple to child. The gospel is proclaimed, but for it to be received as gift depends on whether or not the hearer is in a position to do so. Offered here are thirty-one of Pastor Bonhoeffers sermons, in new English translations, which he preached at various times of the year and in a variety of different settings. Each is introduced by Bonhoeffer translator Isabel Best who also provides a brief biography of Bonhoeffer. The foreword is by Victoria J. Barnett, general editor of the Dietrich Bonhoeffer Works, English edition, published by Fortress Press, from which these sermons are selected. In his preaching, Bonhoeffers strong, personal faiththe foundation for everything he didshines in the darkness of Hitlers Third Reich and in the church struggle against it. Though not overtly political, Bonhoeffers deep concern for the developments in his world is revealed in his sermons as he seeks to draw the listener into conversation with the promises and claims of the gospela conversation readers today are invited to join. 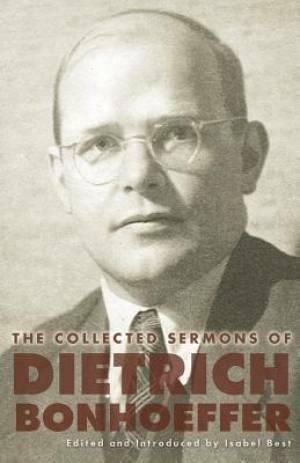 Collected Sermons Of Dietrich by Dietrich Bonhoeffer was published by Augsburg Fortress Publishers in July 2012 and is our 39869th best seller. The ISBN for Collected Sermons Of Dietrich is 9780800699048. Be the first to review Collected Sermons Of Dietrich! Got a question? No problem! Just click here to ask us about Collected Sermons Of Dietrich.